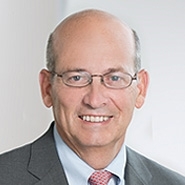 Substantively, while merger cases rarely make it to the Supreme Court, a Garland appointment would likely be bad news for those who seek to justify mergers based on the efficiencies the proposed merger would produce – i.e., that the merger passes muster under Section 7 of the Clayton Act because its anticompetitive effects are outweighed by the benefits of the enhanced efficiencies from the merged entity. In 2001 Judge Garland joined an opinion rejecting an efficiency defense in the merger context, and in a different context in a 1987 article, he critiqued an efficiency-based approach to the state action doctrine. In his 1987 article, “Antitrust and State Action: Economic Efficiency and the Political Process,” 96 Yale L.J. 486 (1987), Judge Garland, then working in private practice, critiqued what he called a “revisionist” view of the state action doctrine that reconceived the doctrine based on an efficiency principle. The state action doctrine is a form of immunity from application of federal antitrust laws, in which alleged anticompetitive conduct can avoid being found to violate federal antitrust laws on the ground that the conduct in question is governed by the sovereign law of a state. Under the doctrine as expressed by the Supreme Court in California Retail Liquor Dealers Association v. Midcal Aluminum, Inc. 445 U.S. 97 (1980), and recently reasserted by the Court in North Carolina State Board of Dental Examiners v. FTC, 135 S.Ct. 1101 (2015), an action by a “nonsovereign actor controlled by active market participants” is not subjected to scrutiny under federal antitrust law “if it satisfies two requirements: first that the challenged restraint … be one clearly articulated and affirmatively expressed as state policy, and second that the policy … be actively supervised by the state” (quotation marks omitted). Judge Garland warned that Professor Wiley’s model would have dramatically narrowed the state action doctrine, resulting in federal antitrust preemption of a broad swath of arguably economically inefficient state regulation. He criticized the efficiency test as bearing “sobering” parallels to the Supreme Court’s much-criticized decision in Lochner v. New York, 198 U.S. 45 (1905), in both its methods and its effects. In Lochner, the Court overturned a New York state law regulating bakers’ hours on the basis that it interfered with workers’ and businesses’ “liberty of contract,” which the Court found to be implicit in the Due Process Clause of the Fourteenth Amendment. In his article, Judge Garland criticized that the efficiency test would, like Lochner, invite courts to “consider the appropriateness of the state purpose involved …; determine whether the regulation is an effective means of achieving that purpose …; and then judge the regulation’s overall reasonableness in that light” – effectively making courts into super-legislatures weighing the wisdom of choices made by elected state officials. Judge Garland cautioned that Professor Wiley’s efficiency test would “dangerously” invite the wholesale overturning of non-antitrust state regulations, such as zoning, occupational licensing, or minimum wage and hour laws, most of which were enacted not to address competition but to serve other social values. There is little reason to think that the efficiency test criticized by Judge Garland in his 1987 article is a hot issue in state action jurisprudence. The Supreme Court has maintained the standard for state action expressed in the 1980 Midcal decision, and in Dental Examiners it upheld the North Carolina regulation being challenged with no discussion of its impact on efficiency. But the role of efficiencies continues to be often debated in the merger context, where proponents of mergers have pointed to alleged post-merger efficiencies as a defense against challenges under Section 7 of the Clayton Act. The Horizontal Merger Guidelines issued by the U.S. Department of Justice and the Federal Trade Commission recognize the role that efficiencies may play in their merger analysis. See Horizontal Merger Guidelines § 10 (Aug. 19, 2010). In 2001, Judge Garland joined an opinion rejecting an efficiency defense in FTC v. H.J. Heinz Co., 246 F.3d 708 (D.C. Cir. 2001). In Heinz, the FTC sued to enjoin a merger that would have combined Heinz and Beech-Nut, the nation’s second and third largest manufacturers of baby food. The district court denied a preliminary injunction, based in part on its determination that the defendants had demonstrated that the anticompetitive effects of the merger, as demonstrated in the FTC’s prima facie case, would be offset by the benefits of greater efficiencies achieved by the merged entities. The D.C. Circuit, in an opinion by Judge Karen Henderson and joined by Judge Garland, reversed. The court acknowledged that that the efficiency defense drew support from the Horizontal Merger Guidelines and various district court opinions, but it cautioned that that any defendant relying on the defense would have to prove “extraordinary efficiencies” that could not be obtained absent a merger and could not rely on “mere speculation and promises about post-merger behavior.” The Court observed that “‘efficiencies almost never justify a merger to monopoly or near-monopoly’” and that there were “‘truly formidable’ proof problems in determining innovation economics.” In Heinz, the court concluded that the defendants failed to carry that heavy burden of proof and reversed. The Ninth Circuit reasoned similarly in its February 2015 decision of Saint Alphonsus Medical Center–Nampa Inc. v. St. Luke’s Health System, 778 F.3d 775 (9th Cir. 2015), which concerned a planned merger of hospital systems in Idaho. The court acknowledged that four other circuits had suggested that the efficiency defense could prevail, but it noted that the Supreme Court had never opined on the issue, and that the Court’s opinions in Brown Shoe Co. v. United States and FTC v. Procter & Gamble & Co. cast doubt on the defense. The court stated that it “remain[ed] skeptical about the efficiencies defense in general and about its scope in particular.” Without foreclosing the defense as a matter of law, the Ninth Circuit – like the D.C. Circuit in Heinz – concluded that the defendants failed to show merger-specific efficiencies sufficient to offset a prima facie showing of anticompetitive effect. No circuit court of appeals has weighed in on the efficiency defense in a Clayton Act Section 7 case since the Ninth Circuit issued its opinion in Saint Alphonsus. If the issue were to reach the Supreme Court while a Justice Garland sat on the bench, there is ample reason to believe that he would express significant skepticism of the efficiency defense, in light of his rejection of the Lochner-esque “efficiency test” in the state action context and the D.C. Circuit’s factual analysis of the defense in Heinz.